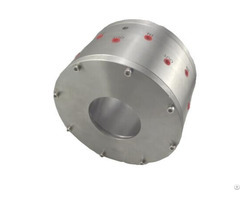 Specification 1.Material: Carbon steel/alloy steel/stainless steel/Aluminum. 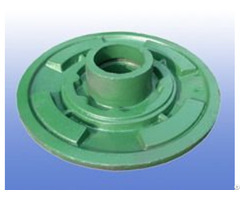 2.Standard: ASTM\DIN\BS\JIS\GB. 3.Surface finish:as requested . 4.Weight:0.2-30kg. Production facility 1.Casting facility: wax injector, medium-frequency induction furnace, machine, sand-blasting machine, etc 2.Machining facility: CNC, NC lathe, NC milling machine, polishing machine. Test facility spectrometer, tensile test machine, imp, etc. Business Description: Hangzhou Sino Ample Metal Products Company LTD was founded in 1998, is an enterprise with comprehensive strength in researching and developing, producing and export trading. We moved to our new plant in 2016 with an area of more than 5000 square meters. 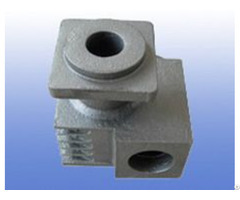 Our main products are metal stamping parts, sheet metal parts, welding assembly parts, deep drawing parts, casting parts, fasteners, CNC Machined Products. We are committed to the development and continuous improvement of our product quality. We have rich experience and extensive material technology. Our manufacturing capabilities are included: custom stainless steel fabrication, sheet metal fabrication, CNC machining, CNC lathe, aluminum stamping, metal junction box, custom metal stamping aluminum die casting, aluminum sand casting, investment casting, precision stamping precision casting service, electrical cover plate, strut beam clamps, universal beam clamps. Processing include punching, stamping, bending, tapping, milling, lathe, welding, assembly, surface treatment: zinc plating, powder coating, heat treatment, nickel plating, chrome plating, electrophoresis, blackening, and more. We practice strict quality procedures including but not limited to detailed records, spot inspections, and quality testing. Our quality engineers are involved from the initial manufacturing stage to product completion/container loading. They inspect our products to ensure that they meet all necessary requirements. We currently serve customers in many industrial sectors across the world in the Aerospace, Automotive and Material Handling, Food, HVAC, Furniture, Appliances, Renewable Energies and Construction industries, and are proud to be SGS Certified, assuring strict quality standards and metal part manufacturing practices.